This blueberry bread has a hint of zesty lemon and the crunch of pecans. 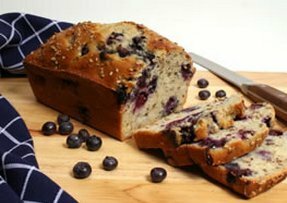 Fresh blueberries make this homemade bread irresistible. There is nothing better to give you a warm and comfortable feeling than homemade bread. See how easy it is to make homemade chicken noodle soup using your slow cooker. Step-by-step instructions on making different types of homemade bread.